Britain hosts a diversity of freshwater environments, from torrential hill streams and lowland rivers to lakes, reservoirs, ponds, canals, ditches, and upper reaches of estuaries. The book covers the 53 species of freshwater and brackish water fishes that are native or have been introduced and become naturalized. This beautifully illustrated guide features high-quality in-the-water or on-the-bank photographs. Detailed species accounts describe the key identification features and provide information on status, size and weight, habitat, ecology, and conservation. 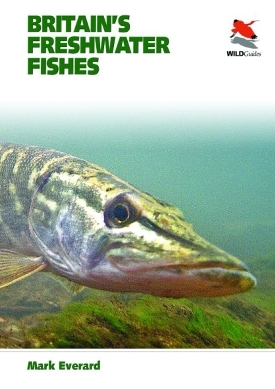 Written in an accessible style, the book also contains introductory sections on fish biology, fish habitats, how to identify fishes, and conservation and legislation. Mark Everard is a scientist, author, and frequent contributor to television and radio. His books include The Complete Book of the Roach and Common Ground: The Sharing of Land and Landscapes for Sustainability. Rooted in field experience and scientific study, Princeton’s guides to animals and plants are the authority for professional scientists and amateur naturalists alike. Princeton Field Guides present this information in a compact format carefully designed for easy use in the field. The guides illustrate every species in color and provide detailed information on identification, distribution, and biology.